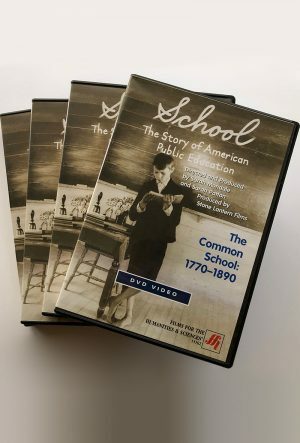 SCHOOL: The Story of American Public Education – The award-winning companion volume to the PBS series – Stone Lantern Films, Inc.
Esteemed historians of education David Tyack, Carl Kaestle, Diane Ravitch, James Anderson, and Larry Cuban journey through history and across the nation to recapture the idealism of our education pioneers, Thomas Jefferson and Horace Mann. 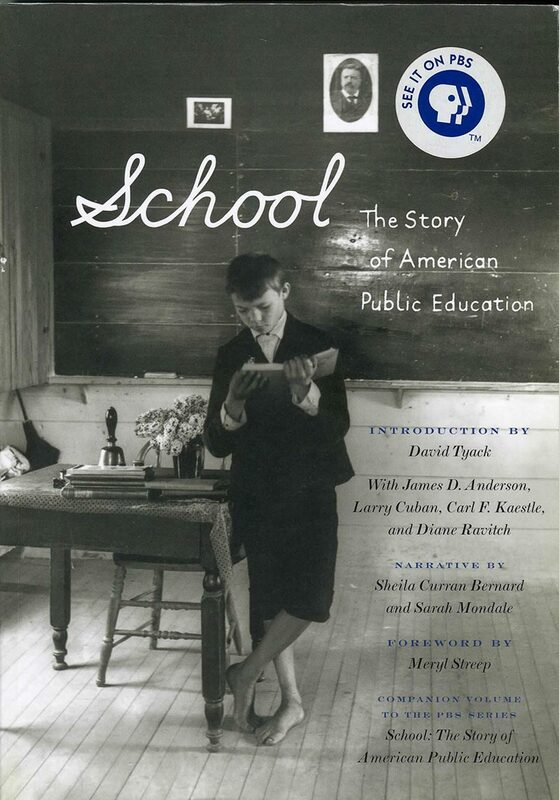 We learn how, in the first quarter of the twentieth century, massive immigration, child labor laws, and the explosive growth of cities fueled school attendance and transformed public education, and how in the 1950s public schools became a major battleground in the fight for equality for minorities and women. The debate rages on: Do today’s reforms challenge our forebears’ notion of a common school for all Americans? Or are they our only recourse today?